22 Oct 2013: This 8-min documentary on how and why Pelican Park High bought study materials through us is so affirming for us. It helps answer the doubts that can haunt you when you’re wondering whether you’re moving forward at all. 1 Nov 2013: Similarly, this 8-min documentary on how and why Minuteman Press sponsored books for Silverstream Secondary. 18 Nov 2013: We created a short 1-minute promo from the Pelikan park video on why schools should buy study materials through us. Back at the ranch, at the end of October we finally integrated our outlets map onto our product pages, to offer the ability to find outlets and compare prices of books at them per product. This new product-page map explains the concept behind Paperight much better, too, which frees up other messaging space. At the same time, we also created a range of new screencast videos for our help site (released 21 Oct 2013), produced on 4 Nov 2013 a new printable product catalogue, including improved CSV-based workflow to make future updates quick and easy, and made (on 13 Nov) some useful guides for schools and sponsors on how to work with us. Marie and Nick have also been producing loads of Facebook posts about our books and outlets. On 10 Oct 2013 I pitched at the Accenture Innovation Awards in Joburg, and won! More on that below. 9 to 13 October 2013: Tarryn, our COO, visited the Frankfurt Book Fair, and also won an award. More below. 24 Oct 2013: I spoke at the launch of market research company Yellowwood’s white paper on transformative innovation. Here’s text and video. 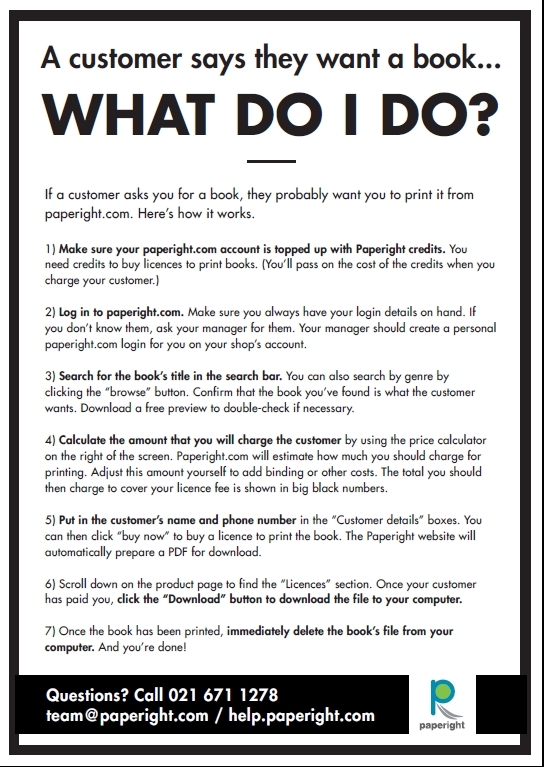 6 Nov 2013: “Tough Truths about Selling to Publishers”. I spoke at the inaugural Footnote Summit, a South African digital-publishing conference. I was worried I might offend some people, but my worries were unfounded: people really appreciated my honest, and my talk led directly to one important publisher signing up, and another giving us much better books. 11 Oct 2013: Nice PR opportunities off back of Accenture win, including this breakfast TV show (skip to 3:10 for me). 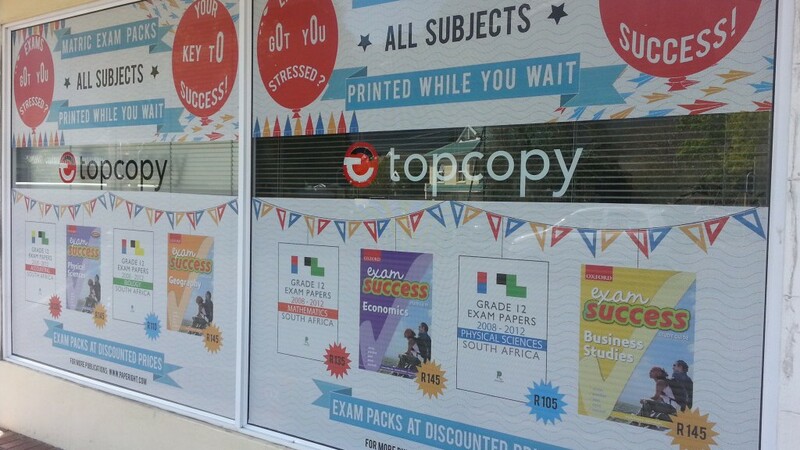 We noticed on 4 Sep 2013 that local copy shop Top Copy had devoted their entire front facade to Paperight books. 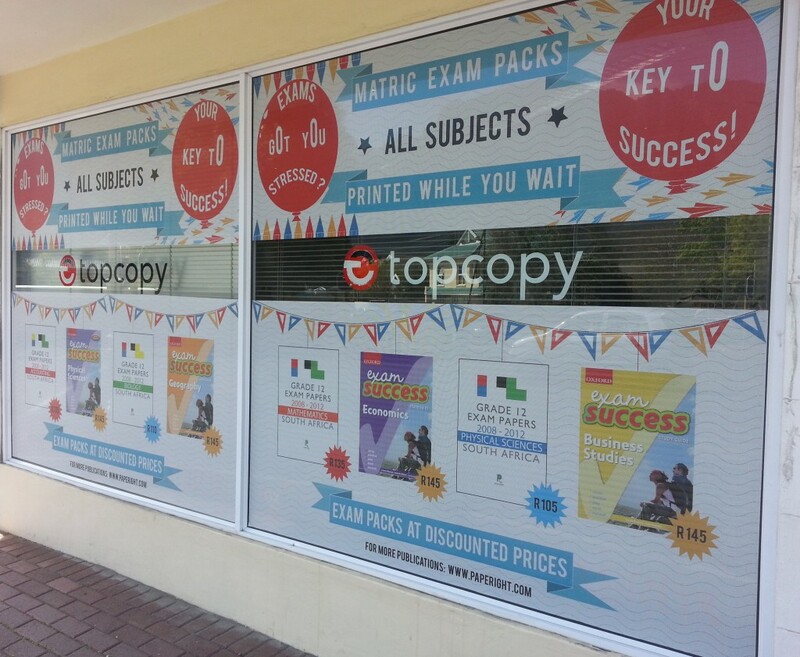 It’s great to see one of our champion copy shops devoting their prime ad space to our books. 1 Sep 2013, Foshini Tech Magazine feature on innovation and transparency. 1 Sep 2013, Bookmark (bookselling industry magazine), “Innovations that encourage a nation of readers”. 26 Sep 2013, George Herald, “Blitsdruk and Paperight help matrics”. 1 November 2013, Destiny Man magazine profile of Arthur Attwell in “40 Under 40” feature. 28 November 2013, Business Day, “Index lays the foundation for benchmarking innovation”. 28 November 2013, Business Day, “Print-on-demand service does it by the book”. 6 Sep 2013: Getting Cambridge Univerity Press books on Paperight. 9 Oct 2013: Won the CONTEC Startup Showcase at the Frankfurt Book Fair, which was a very powerful endorsement among publishers and helped us sign up seveal local and international publishers. 10 Oct 2013: Won the Accenture Innovation Award for company under R40m turnover (FNB won large-company section). October and November sales were very low, so for the next three months we’re shifting focus to our Feb/Mar 2014 universities promotional campaign, headlined #textbookrevolution, and emphasising the need for universities and publishers to move away from their traditional, bloated supply chain (where 70% of the retail price of a textbook goes to the supply chain alone), and towards Paperight. On the tail-end of our frustration at the long lead time in getting publishers signed up, Arthur was asked to speak at the Footnote Summit. He spoke at the summit about the tough truths we’d learned about selling to publishers. His talk was very well received, and while we were concerned that the points we covered might be taken badly, it seemed that they resonated with those championing the cause in their larger publishing companies (it even prompted a long-awaited registration or two). 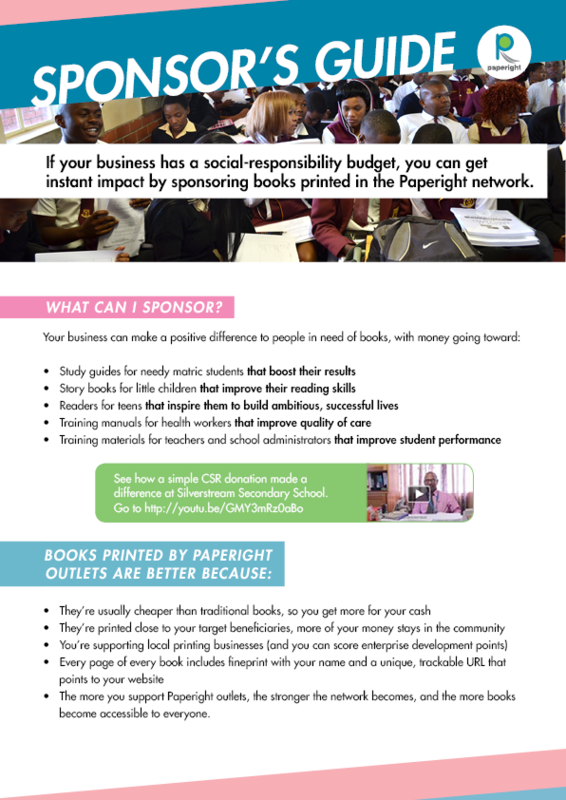 One of the outcomes of the Frankfurt Book Fair in October was that I met two potential funders for Paperight. In November, Arthur and I had conversations with both of these leads. While, ultimately these discussions did not lead anywhere, it was incredibly useful to find out what potential investors are interested in, and what kinds of questions they are likely to ask. I continued to work on our translation project applications, meeting with partners who may be able to offer advice on moving forward. We were turned down by JK Rowling’s agents, who were reluctant to move ahead with a new distribution model, but who invited us to reapply when we could work around those concerns (or relieve them). We facilitated the transfer of Future Managers’ titles, uploaded Xhosa Fundis titles, signed on with Worldreader to distribute the Paperight Young Writers’ Anthology on their platform, started planning an #authorsforaccess campaign with Marie (this later went onto the backburner), and tested document conversions using automated PDF-PDF. Before the completion of the compilation, I assisted with reading the entries, selecting pieces for publication, shortlisting for category winners (judged externally) and overall proofreading of the Paperight Young Writer’s Anthology 2013 (hereafter referred to as the PYWA). I entered the project as an intern in April 2013, but took over the marketing elements of the project in July 2013 as part of my promotion to the role of Marketing Manager. media contacts, both national and regional, to tell them about the project and the PYWA’s release. We also encouraged them to get back to us to interview Oscar, the Anthology’s editor, or to request a copy for review. Along with these press releases, I wrote a Facebook conversation plan in order to give our Paperight fans a taste of what the compilation entries were like. We selected quotes from longer entries, entire poems and illustrations to make beautiful posts (designed by Nick) for Paperight fans and PYWA contributors to share. We also posted stories of our visits to schools in the Western Cape, to hand out certificates to contributors and prizes to category winners. These stories were posted on the Paperight blog, too. This conversation plan was Paperight’s first ever predetermined conversation plan. It ran from the 31st of July to the 9th of September 2013 (the Monday after the Open Book Festival Launch, mentioned below). It was supposed to end with a call for submissions for the 2014 edition, however, due to a shortage of resources, the project has been indefinitely postponed. We used the weekly newsletter to remind outlets to promote the anthology in store by putting up posters and ensuring their staff are prepared to handle queries. In addition, we included links to blog posts on news items about the PYWA to inspire enthusiasm for the title. This initial push was then followed up in September 2013 with an official book launch at the Open Book Festival in Cape Town. Arthur hosted a panel discussion between Oscar, Nick Mhlongo (author), Hedley Twidle (UCT lecturer) and Sarah Rowan (poet) to discuss the necessity of encouraging writing among South Africa’s young people. Invitations were sent to media contacts asking them to attend the event and offering copies of the Anthology to be reviewed. Copy shop owners and staff in the Western Cape were also encouraged to join the festivities. The event was well attended and led to many sales of the PYWA (perfect bound copies printed by Mega Digital) through the Book Lounge. The Open Book Festival launch was filmed and edited into a punchy, short film by our film intern, Shaun Swingler. The film was then added to our YouTube channel where we have amassed our collection of Paperight related video content. It is definitely worth a watch! One of the success stories to come out of the PYWA project is the fact that Eden College in Durban, the school with the most selected contributors, chose to use the PYWA as a prescribed English Literature set work for their Grade 10 students. Throughout September we continued to work on uploading the backlog of documents on to Paperight. This included the upload of all the Accent Press titles, which we pushed to get on in time to run the planned erotica and romance campaign. That marketing project was subsequently cancelled, you can read more about why here. We did a big overhaul of DropBox, to ensure that archiving was happening smoothly and that everything was in the right place. We uploaded the Cambridge University Press titles, and met with them to further discussions about getting prescribed textbooks on Paperight. We also met with Pearson to finalise the signing of our agreement with them – a big win. 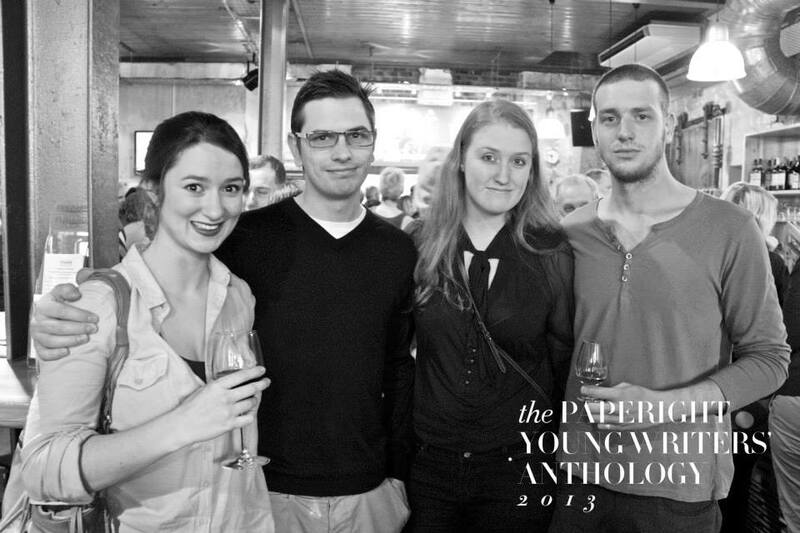 Our other big event for the month was the launch of the Paperight Young Writer’s Anthology at the Open Book festival. You can read about that in more detail here. My other activities for the month were Frankfurt Book Fair related: I applied for the CONTEC Startup Showcase, on Paperight’s behalf. This included writing, refining and filming a video pitch, and submitting the online application. I also set-up a number of meetings for FBF (McGraw Hill, Wiley, Routledge, Hachette, Bloomsbury, Worldreader), and did a lot of travel admin with Dez. In March I exhibited and presented Paperight to matric students and teachers of Cravenby Secondary School alongside leading publishers, such as MML and OUP. The students were very interested in my exhibition and showed a keen interest in my presentation on the Paperight Young Writers’ Anthology. After months of correspondence, I managed to arrange a meeting with the Head of the Cape Town Library Services alongside Arthur. 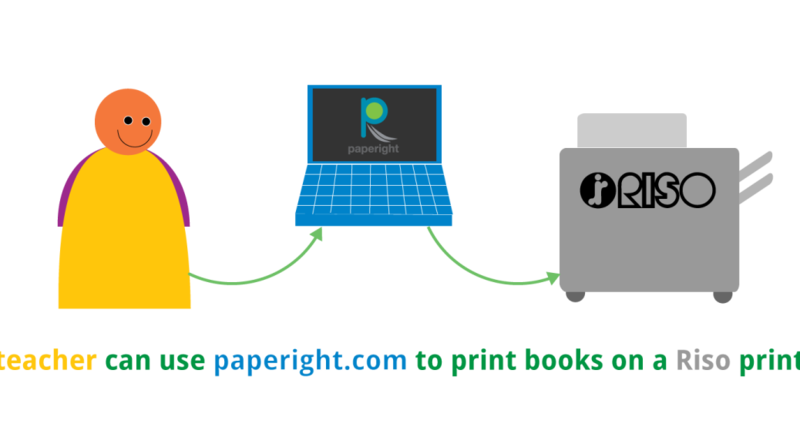 The aim was to see how Paperight could work with the Library Services with the possibility of integrating into their SmartCape internet service. The meeting was a success in that we impressed them but, the process has come to a standstill due to bureaucracy inherent in government institutions. The possibility of a partnership remains open for the future. Nick and I had worked closely on many tasks and we reached a stage where we required someone to bridge the gap between Nick’s position and my own. The aim was to improve communication to outlets, customers and the public at large. Having learned many lessons from our experience with the PR Consultant, we had a relatively clear idea of what we could achieve PR-wise. Seeing her become, what I consider to be, the most productive member of the Paperight team has been amazing to experience. The discovery of Marie-Louise Rouget is one of my proudest moments at Paperight. Marie-Louise had no marketing or PR experience to speak of but, she demonstrated a clear passion and drive to contribute positively towards society – something we could all relate to at Paperight. Seeing her become, what I consider to be, the most productive member of the Paperight team has been amazing to experience. I believe that Marie-Louise has discovered talents within herself that she may not have realised that she had fearlessness and a determination to get things done. When I realised that we required more creative ways of selling Paperight products, Arthur gave me the opportunity to enrol in an “Effective Selling Strategies” course by LMI and facilitated by Chalwyn Vorster of TMF. The course allowed me to improve my time management, organise my sales pipeline and most importantly to give me the confidence to sell whilst maintaining my own morals and values. Pelican Park High informed me that they would like to place an order for their learners who wish to purchase past exam packs. 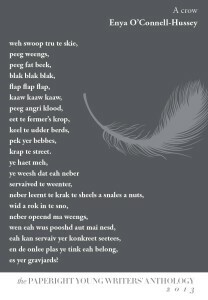 I collected the order form, delivered it to Minuteman Press Cape Town and received payment from Pelican Park High. When the books were printed and ready, I collected four learners from Pelican Park High to accompany me in collecting the books from Minuteman Press Cape Town. Nick met us there to take photos for a press release that we had planned. The press release was circulated in the Minuteman Press internal franchise newsletter which led to several Minuteman Press outlets in South Africa signing up with Paperight. Upon collecting the books, the owner of Minuteman Press requested that we assist him in identifying a needy school in the Western Cape that he could possibly sponsor in some way. When I got back to our offices, I googled “worst matric results in cape 2012.” I found a newspaper article that identified Silverstream Secondary in Manenberg as a poor performing school in 2012. I contacted the school to find that the principal had left the school and an H.O.D. was acting head of the school. I met with the H.O.D. to discuss the situation of the school and their needs in order to determine if this is the type of school that Minuteman Press Cape Town would want to sponsor. I determined that they are a needy school and deserving of assistance, so I contacted the owner of Minuteman Press Cape Town and arranged for him to meet with the H.O.D. at the school personally. After this meeting took place, we determined which books would be sponsored and how many according to the budget that was available for the sponsorship. March brought the first flood of anthology submissions. I triaged these from team email to Oscar, who then catalogued the entries. 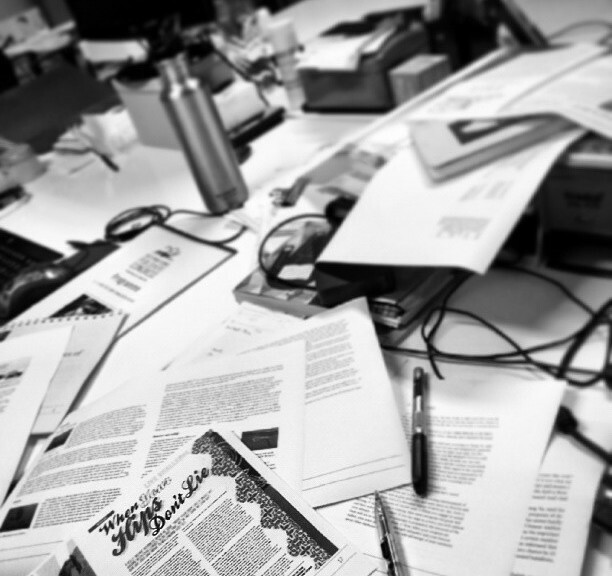 Once we’d received the influx, we set about organising an Anthology hack day to wade through submissions, read, and complete the first round of judging. While we’d have many sessions like this, I was only involved in the first few before I went to London, and then on leave. In the spirit of writing competitions, we also met with Rachel Zadok to discuss Short Story Day Africa. Given that many of our team members are published or aspiring writers themselves, it was a project we were keen to be a part of. Paperight took on the sponsorship of the design and typesetting of the anthology, with the requirement that it be made available on Paperight after publication. Our ongoing work with publishers included meetings with Cambridge University Press, Harlequin, Modjaji, and Do Sustainability. I finalised my London Book Fair meetings. And we tried approaching publishers on ADvTech’s list of prescribed books (though we received no response). We also worked on A Life, for New Africa Books. I finalised the epub and mobi versions. Diann came in to do some freelance work. I correspondence with Caitlin about her freelance work on the College Campus prep, oversaw Philippa’s CSV creation, and sourced missing information where necessary. One of the great results of the book fair was insight into how other South African publishing-related startups operate behind the scenes. I spent much of my time at the fair with the Snapplify crew, and discovered that they use Base as a CRM tool. On my return from the fair, I started using Base to track publisher follow-ups. There was some initial set-up work required: I had to migrate my contacts database and conversation histories from the wiki and email, but it made tracking follow ups much easier. On going follow-ups with very long lead times on actions (especially when waiting on a publisher’s in house legal team, for example) could be put on the backburner, without the risk of having these fall through the cracks. I spent most of the month following up on new and existing relationships, particularly with Random House Struik, and Nali’Bali/Praesa. In ongoing content work, I briefed Nick on covers for GetSmarter and e-Classroom material, and continued to work on the processing of those files. Philippa started at Paperight on the 19th of November, so I also managed her training and induction. The idea was that an anthology would be a great way to raise awareness about Paperight among learners, and would help us build useful relationships with teachers which we could build off of to increase sales of supplementary study material. 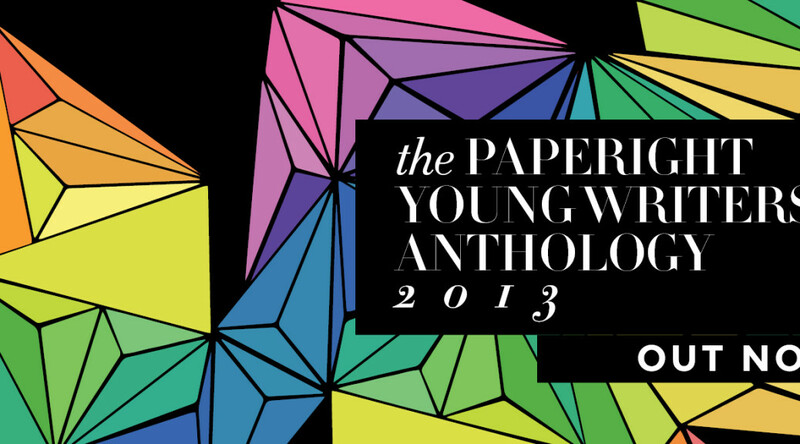 November 2013 was also the month we decided to run with the idea of the Paperight Young Writers’ Anthology. We came up with the concept while we were deciding that it might be good for us to start creating our own content for Paperight. The matric exam packs, our other main project of content creation was selling well, and publishers were signing agreements slower than we needed for a fast growth in sales. The idea was that an anthology would be a great way to raise awareness about Paperight among learners, and would help us build useful relationships with teachers which we could build off of to increase sales of supplementary study material. I had a meeting with Biblionef, about their database of schools. 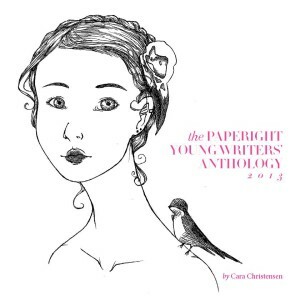 We were hoping that we could make use of this to inform schools about the Paperight Young Writers’ Anthology. As it turned out, their database was completely offline, and would have proved complicated and time consuming to sift through. Instead, Oscar drew together a database from scratch, using online resources.